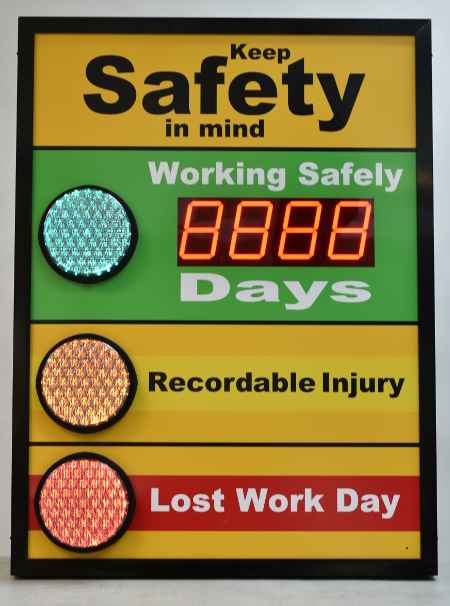 Draw attention to lost time and near miss accidents with these super bright stoplights while tracking your days without accident on the large day counter display. 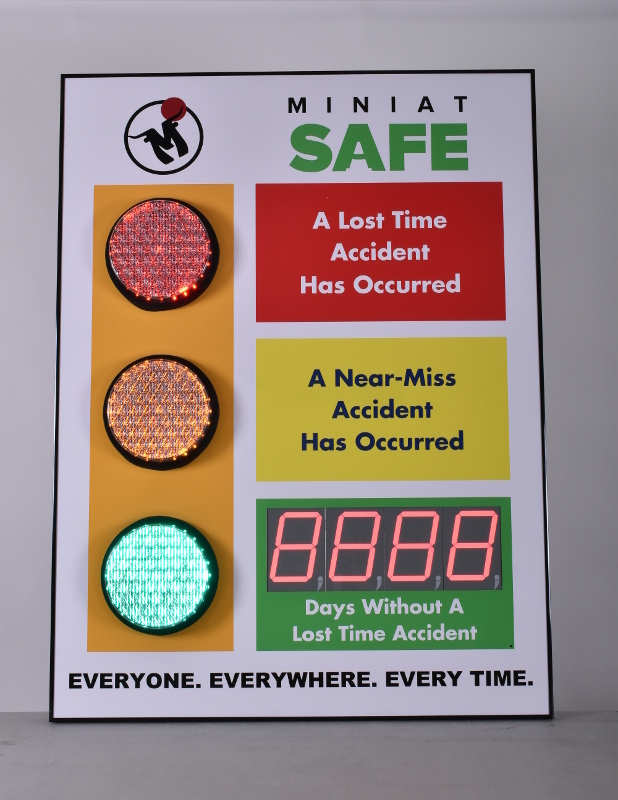 Leadership should share the accountability and success of any safety program by getting employees involved in improving and maintaining the safety culture. 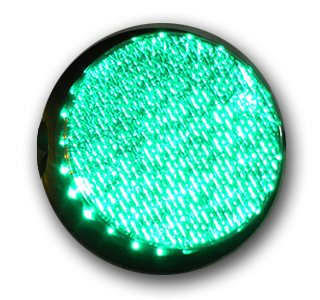 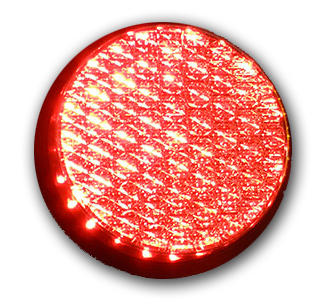 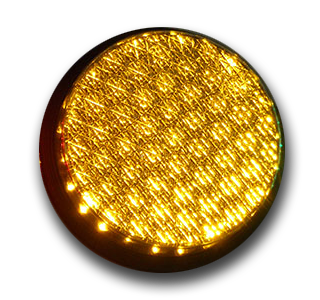 What better way to help with this than by mounting an attention grabbing safety stoplight sign with bright red, yellow and green stoplights. This 48" high by 36" wide safety scoreboard includes one five inch counter and three 8" super bright stoplight style lights. 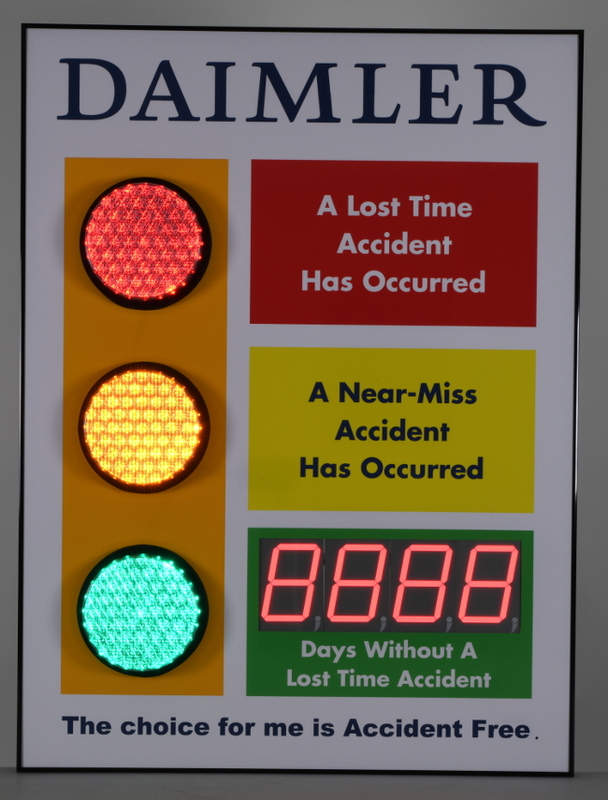 The counter will automatically display your current days without a lost time accident and the stoplights can be used to signal that an accident has occurred (red), a near miss has occurred (yellow), or green for no issues.